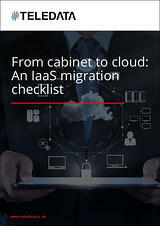 And learn how to plan and execute a successful migration to the cloud. Moving to the cloud? You’re not alone. By 2020, 92% of workloads will be processed in the cloud, according to Cisco.